Remember Berlino? 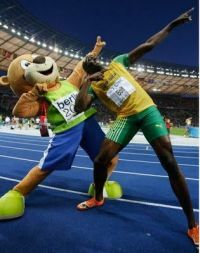 Of course you do; the Bear was the star of the show at the 2009 World Championships in Berlin, even outshining his young pal, Jumpin’ Jack Flash from Jamaica (see below). Well, Berlino is in big trouble. His natural habitat is in grave danger! The iconic Olympiastadion in Berlin is under threat of demolition, from a coalition of misguided politicians and professional football management. Opposition to the plans is being spearheaded, inevitably, by my old friend, Horst Milde. Horst is best known for being the driving force behind the creation and early years’ organisation/direction of the world-famous Berlin Marathon (his son Mark is currently Race Director). But, should his modesty permit it, Horst could justifiably claim to have single-handedly created distance running, both cross country and road in post-war Berlin. Horst writes, “Everyone who cares about athletics and historical sports venues must now join together in a concentrated effort, for instance, with an online petition with tens of thousands of signatures. We must counter these plans as fast as possible! 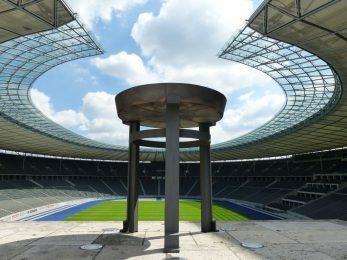 The Berlin Olympic Stadium, like the Brandenburg Gate, is a world-renowned icon of German history, and the architecture must not be sacrificed for the business interests of a pro football club”. Despite its foundation in the dark days of Nazism, the venue for the 1936 Olympic Games is one of the most atmospheric arenas in the world; as anyone who has seen Leni Riefenstahl’s extraordinary documentary film, Olympia can attest. Jesse Owens’ four gold medals at those Games began an indelible sequence of world class performances, with over 30 world records being set there, none more memorable than the 9.58/19.19sec 100/200 metres double by Usain Bolt at the IAAF World Championships in 2009. Daily attendance at those championships was close to 60,000, a figure which is apparently being contested by those in the Berlin Senate who wish to end the Olympiastadion’s use as an athletics venue. Yet the stadium is due to be the venue for next year’s European Athletics Championships, when the European federation is expecting at least 45,000 spectators daily for their area championship.  President of the German athletics federation, DLV, Clemens Prokop says, “Saying goodbye to the Olympic Stadium means there will be no more international athletics championships in Berlin, and there will be no more World Championships in Germany”. Horst Milde agrees, “After losing Stuttgart, Frankfurt, Munich and Hamburg, we cannot allow German athletics to lose the last IAAF-approved track and field stadium”. I traveled to Berlin in 2009 to experience the World Athletics Championships for several reasons: 1. as a former athlete I enjoy athletics; 2. I wanted to visit Germany as an individual with German ancestry; and 3. I was interested in the historic aspect of viewing a great sporting event in the historic Olympic stadium. It would be a shame to demolish this historic site or renovate it to disallow future athletics events. I hope people can work together to ensure the continued existence of the Olympic stadium and schedule significant athletics events in the future. My experience in 2009 remains a memorable time in my life. My wording revised on my Facebook page, to clarify redesign rather than demolition. We need a constant physical reminder of how the Olympics can be abused! Thanks for this piece Pat. how could anyone try to destroy that stadium is beyond me, that’s a part of history, pride of a people, or maybe there are person’s who doe’s not like the history of Jessie Owens and want to get rid of the reminder. I met and know a lot of German track and field fans, who dearly love their track and field and is torn up with the thought of destroying that venue for the sake of football and a few dollars. As a Jamaican born American, i am proud of Jessie Owens and Usain Bolt performance inside that stadium. Please!! i beg of you, come back to your senses and forget this nonsense, for our lifetime i think we have a hundred years to live, give and take, if we are 65 now we only have 35 years left, we are going to die, why destroy this this stadium which will not be seen by future generation’s, sad selfish state of the mind of our older citizen’s who has the power to destroy at 70-80 year’s old when time is not on their side. God help us all.